Emigrant Peak in Montana's Paradise Valley. The valley is north of Yellowstone Park near the location of two gold mines proposed in 2015. A major package of public lands legislation has passed the U.S. Senate. It includes permanent reauthorization of the Land and Water Conservation Fund, and the Yellowstone Gateway Protection Act. "Today is — it’s one of the greatest days of my life. It’s amazing, and it really restores faith in the system, too," says Colin Davis, owner of Chico Hot Springs. Davis helped lead a coalition of more than 400 area business owners in the Paradise Valley to press for the Gateway Protection Act. It was a response to a pair of proposals by mining companies in 2015 to potentially develop gold mines just north of Yellowstone National Park. The Gateway Protection Act permanently withdraws federal mineral rights on more than 30,000 acres of public land in the Gallatin National Forest adjacent to Yellowstone National Park, and prevents proposed mines from expanding onto unclaimed public land. Here’s Sen. Steve Daines speaking at a press conference shortly after the vote. "I don't think anybody would have thought we’d be standing here today, February 12, with a 92 to 8 vote. But it took public lands to bring divided government together. I think it's a testimony to who we are as Americans. The value we place on public lands." Both of Montana's senators tried to get the Yellowstone Gateway and Land and Water Conservation Fund bills passed in the last Congress, and vowed to take another swing at them this year. Sen. Jon Tester was an early champion of the Gateway Protection Act, which a group of more than 400 businesses in the Paradise Valley lobbied for in response to a pair of proposals to potentially open mines just north of Yellowstone National Park. "Despite the gridlock, today is a red letter day," Tester says. Caroline Byrd, executive director of the Greater Yellowstone Coalition was on Tester’s call with reporters. "I’m sorry, I’ve got to wipe away my tears. We are, as we speak, popping open the champagne. I mean, this is a huge day for us," Byrd said. Also in the public lands package the Senate passed today was permanent reauthorization of the Land and Water Conservation Fund, or LWCF. Established in 1965, the LWCF allows Congress to use royalties from offshore oil and gas development to buy lands and make them public, and to fund other outdoor amenities. Tester says, "It’s the best tool we have to increase public access to our public lands." 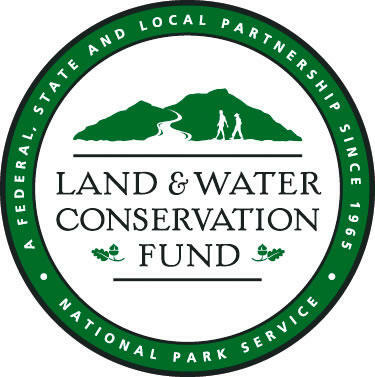 Land and Water Conservation Fund. Last year, reauthorization of LWCF failed. I asked Senator Tester why, when the vote this time around was so lopsided in favor of it. "I hope it didn’t have anything to with the fact that I was up for reelection, but it may have," Tester says. "I hope it didn't have anything to do with people stopping conservation becasue they don't like conservation, but it probably had something to do wiht it. In the end, a package was able to be put together that got momentum, and that's a big part of it. And the momemtum was a bipartisan momentum." Reauthorization of the LWCF, however, does not include funding, that’s something Congress will have the option to allocate as it sees fit on an annual basis. The whole public lands package now goes to the House, where Sen. Tester says he expects it to pass easily. Tester says he expects President Trump to sign the bill, based in part on the big margin it passed by in the Senate. Montana’s U.S. senators expect a bill that would permanently re-establish the Land and Water Conservation Fund (LWCF) to move forward this week. The LWCF expired in September due to congressional inaction.